This entry was posted in News on March 19, 2019 .
accumulated deficit of the Antigonish Arena of around $100,000. Mayor Laurie Boucher said the deficit accumulated over a number of years. One of the reasons for the deficit include a line of credit upon which the town and county were paying interest as co-owners of the arena. Boucher said the town and county decided to pay off the deficit from this year’s budget. They mayor said the arena brings economic development to the town with hockey tournaments, and the exhibition. Boucher said they are in the midst of a study looking at where money is being spent and what they can do as an arena commission to stem the outflow of money and make sure they don’t return to a high deficit situation. This entry was posted in News on March 21, 2018 . During last night’s regular monthly meeting, the Municipality of the County of Antigonish approved an inter-municipal agreement between the town and county to create the Antigonish Arena Corporation. Warden Owen McCarron said this change modernizes the agreement and makes it something that the town and county has control over. McCarron said the new corporation will include two members from each council, as well as two members at large from the town and county. He added he feels that will be a wide representation to address concerns people may have with the arena. Antigonish Town Council approved the agreement last month. This entry was posted in News on February 27, 2018 . During last night’s regular monthly council meeting, the Town of Antigonish adopted an inter-municipal agreement between the town and county to create the Antigonish Arena Corporation. CAO Jeff Lawrence said the Antigonish Arena Corporation will replace the current Arena Commission. He added the make up isn’t much different with two representative from both the town and county as well as citizen representatives. 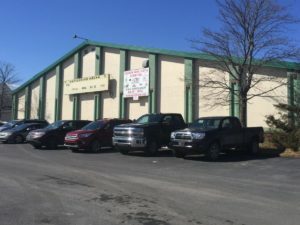 Meetings of the Antigonish Arena Corporation will be held quarterly. Meetings will be open to the public and well advertised, Lawrence added, which will lead to greater accountability. This entry was posted in News on January 19, 2018 . 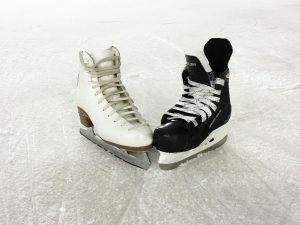 The town and county of Antigonish are working to create a new management structure for the arena in town they co-own. 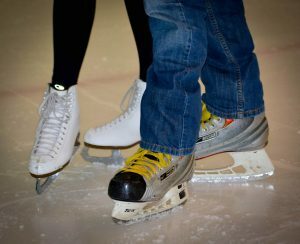 The Antigonish Arena’s commission board is one area that could see some changes. McCarron says that it’s important for town and county councils to remain on the same page when working through any changes. McCarron adds that it is wise to have a wide range of people on the commission that reflects the user groups of the facility.